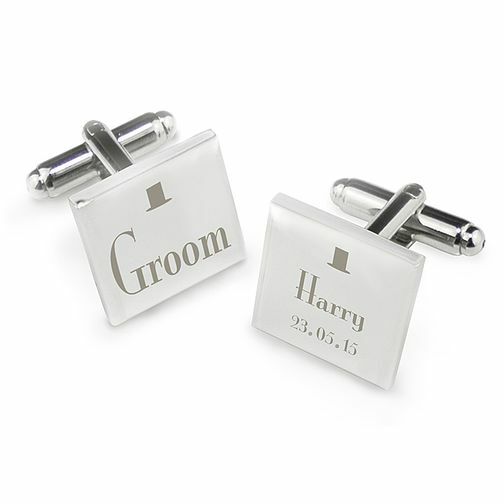 Dress to impress, these personalised cufflinks are sure to add the finishing touches on the big day. Whether given as a token of appreciation for them being there or just a main accessory to their outfit the Groom is sure to love them. Decorative Wedding Groom Square Cufflinks is rated 5.0 out of 5 by 1. Rated 5 out of 5 by Anonymous from Just what i wanted Excellent. A nice memento of a lovely wedding day.